· Black is so boring…can we put stickers on him? · I think he just tooted, I wonder if he can burb too…now that would be cool. · Don’t let him eat the rock. If he eats the rock, he’ll probably die. · I saw an anteater one time at the zoo when I visited my grandpa and I think he looks like the anteater. · Why is he licking me—is he going to eat me? · My dog looks just like him except he’s white and a poodle. But I think my dog is a girl…how do you know if a dog is a boy or girl? Yep Elf went to Kindergarten. I have to say that this is a pretty remarkable group of kids. If you aren’t familiar with Montessori schools, I should probably explain a few things. First the classrooms are all multi-age so the Children’s House is the 3 and 4 year old program as well as K. E1 is what we call the classroom for 1st-3rd, E2 is the room for 4th-6th, and AP is for 7th and up. For Caden this approach is amazing because he can excel in areas like math and science that are intuitive for him but there are enough younger children in the classroom that he doesn’t stand out for having a lovey with him at school or being difficult to understand. Second the kids learn quickly to work hard and independently. I should say that Montessori doesn’t work for every child and certainly wouldn’t work for every child with an asd but for Caden it is a perfect match. He can choose his work, all lessons are one-on-one instead of mass produced for the entire classroom, and he can work on a project until he is done rather than having to put it away and try to pick it up again later. The living skills and build in fine motor skills are also a definite bonus for him. The kids also learn a great deal of respect for each other and their community. I can honestly say that Caden has been accepted by children in all of the classrooms and the fact they all know one another (we only have about 70 kids total in the entire school along with 4 teachers and 1 director) and help take care of each other has allowed him to interact with a variety of individuals and generally feel safe at school. Caden loves school and asks almost every weekend and break if it is a school day yet. This is a group of students who has anxiously and excitedly waited for Elf to come to school. They are doing an amazing job of asking Caden each and every time if they can pet his dog. They are also trying to remember that they aren’t supposed to be distracted by the dog. The one thing they can’t seem to remember however is that they need to watch out for Elf’s tail---I lost track of the number of times that I went to replace Elf confused by why he was moving so much only to realize that yet again someone was standing on his tail or at least on tail hair—Elf never yipped, squeaked, moaned, or barked. He just patiently moved and tried to find safe places to put his tail. I’m contemplating neon pant for his tail….. Lest anyone think this fascination is just a “kid’s” thing, I should say that E1 was equally intrigued by having Elf at school and E2 actually worked with Children’s House today on service dog essays. It was awesome to hear how much all of the kids are learning about service dogs and I can only imagine that they will take all of this new knowledge out into the world with them­­--Can’t wait to hear from the parent whose child was so fascinated with “Elf toots”….. Most importantly though Elf did great and Caden was thrilled he was there. He wasn’t however as enthusiastic about our continued presence and assured us many times that we could “just wait in the car.” Elf was starting to listen and respond to the teacher and her assistant (both of whom are very accepting of whatever Caden needs in order to be happy and successful at school) and I’m somewhat sorta almost maybe confident that eventually Elf will just become another piece of the furniture in the room when the novelty wears off. We are going to continue to work Elf into the classroom with the hope that he’ll be there full time after the start of the new year. Now someone is going to have to explain this to my husband and I’s colleagues and students who are going to be heartbroken when they find out Elf is officially going to kindergarten! A few weeks ago our slp (speech language pathologist….aka speech therapist for you who don’t spend your days in the special needs acronym world) left the hospital for another job. Frustratingly she’s just across town but our insurance requires us to pick a hospital and we need to pick Mayo for reasons that are probably obvious after my last post. Caden has been with this slp for over a year and I have to say she’s helped him make tremendous progress and honestly he loved going to speech which is a huge accomplishment in and of itself. We were devastated that she was leaving but we were optimistic that our new slp would find a groove with Caden as well and progress would continue. Unfortunately when the supervisor prioritized kids Caden wasn’t at the top of the list and thus we haven’t been reassigned yet. After Wednesday’s conversation with said supervisor it looks like it’ll be at least another month before they even discuss scheduling therapy for Caden again. I have no idea what criteria they used for prioritizing kids but obviously progress, diagnosis, and potential for regression weren’t considered. If I were being fair I’d acknowledge that they probably have limited resources and hiring a replacement takes time but considering I know a bit of the backstory as to why our slp left and that this is my child and his future we are talking about, fairness and rationality are out the door. 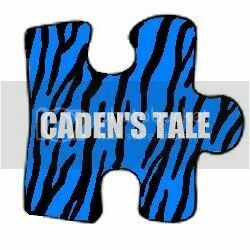 Since Caden was diagnosed we’ve heard and read all about the “window of opportunity” that exists for obtaining speech and while no one knows exactly when this magic door closes, when it does that’s it for speech development. Caden has worked so hard to make progress on speech and he knows so many words—if he can just learn to make sounds so that others can understand him his potential will be so much higher. He’ll be able to communicate with others and honestly I think that will decrease some frustrations and certainly increase the potential for relationships and his overall happiness. So we’ve been researching do-it-yourself speech. We’ve purchased a few apps (when all else fails, buy an app is my new motto) and we’re collecting tips on how to teach a child articulation. For example did you know that having a child hold a cheerio to the back of their front teeth with their tongue is “perfect” for practicing the mouth placement for the L sound? Seriously try it-- it does work but who would have known that but an expert. Crud I’m still trying to use the “Caden look at how mommy says the word” as if he can see what’s going on in my mouth with my tongue when I say a word method. Now if you were to ask me how to research, write or deliver a speech I’d be your gal. If you wanted to know more about organizational communication, I could give you tips and tricks all week long (note: if I weren’t so tactful I would shameless self-promote by inserting a nifty hyperlink to the 3rd edition of my organizational communication textbook but since I’m tactful…). But I didn’t develop any of that expertise by googling it, I went to school (as my parents would tell you for a very very very long time). I’m assuming that’s how the above name speech therapist figured out that the cheerio trick would work for the L sound. I learned growing up that you just need to try your hardest and in most situations I’d probably agree with you but when it’s my child’s future, what if my best isn’t good enough? What if he gets left on the wrong side of the door because I didn’t google the right thing or know what to do with the information once I found it—seriously I have no idea what to tell him to do with the cheerio next…I’m just hoping he doesn’t choke on it. I don’t think I’m alone in this boat---special needs parents, at least the ones I know, are willing to do anything and everything for their child to ensure that child has the best and brightest future possible. But while we are all experts in our child, we still rely on specialists to help us move that child forward. Unfortunately the resources and experts often aren’t available if and when we need them. For most paying for services out of pocket usually isn’t an option, insurance may or may not be available for that particular service, and therapists may or may not have a waiting list (wait lists for speech therapy can be between 6-18 months long). With autism rates in the United States around 1 in 110 can you imagine what our future looks like if these children don’t have access to the resources that they need now so that they have a shot at a productive future? Okay I’m stepping off of my soap box in a blaze of glory and gracefully exiting stage left or right or maybe out the back. I still haven’t figured out the cheerio trick so for now the letter L is on hold but I will say that we heard some pretty amazing work with the letters p and f this weekend and we’ll keep working and hoping that we’re doing something right. And if anyone figures out what to do next with the cheerio be sure to let me know! As I mentioned in my last post, Caden was on steroids for a virus that caused his asthma to flair. Then Ryley got really sick and we spent several days doing tests and trying to track down answers which we really never got. The week ended with us in the hospital all day on Saturday for Ryley’s infusion, her having the “normal” ivig side effects and me getting taken hostage by a nun---to make a long story short, she was most definitely one of the original nuns and didn’t take no for an answer. She had a death grip on my arm and with her looking all official, and tiny, and old no one even noticed the peril that I was in. I’m here to tell you that I’m traumatized and I’ll be looking over my shoulder when we go back to the hospital again. I made the mistake of posting on facebook Sunday night that I was sure this week had to be better. Dang the universe gets me every time for making statements like that. Monday morning we woke up to a small rash on Caden. Honestly between eczema and allergies we see a lot of rashes so this one was actually “less” extreme than what we usually see (before anyone comments YES the last allergic reaction was my fault…who knew they put carrots in spaghetti sauce…see what happens when I cook?) In the rush to get out the door with everyone we gave him bendaryl but forgot the morning dose of the antibiotic that he takes year round because of the immune deficiency. We debated calling the doctor but decided that we would give it 24 hours to subside with the Benadryl. By midmorning the rash was worse and had spread to areas that we typically don’t see a rash when it’s his allergies so we decided that if the doctor had an afternoon appointment we’d take it. Turns out that was a wise decision because the mystery rash was in fact an allergic reaction to the antibiotic that he had been taking for almost two years and another dose would have been well let’s just say less than a good idea. He started taking steroids again and we expected quick improvement. On Tuesday the rash actually got worse quickly and by the time the doctor saw him again the hives had spread to his mouth and throat. They increased his steroids to the maximum dose allowed for his weight, increased the two antihistamines and added a histamine 2 blocker (who knew stomach meds like Pepcid block acid problems by inhibiting histamine 2 AND that they can be an effective treatment for hives…add that one to the mental filing cabinet). The doctor reiterated how dangerous that missed dose of antibiotic would have been---kinda want to scream STOP pointing out how close my baby came to dying….trust me we get it and are reliving that thought 24/7 at the moment. We also learned that his hives were significant enough that we needed to worry about Stevens Johnson syndrome; wow my brain might explode with all of the nifty new medical information we’ve learned this week (and this isn’t including the two Mayo appointments my daughter had this week and the fact we now are planning on surgery #14 for her in the spring). Now we need to come up with a new antibiotic plan for the immune deficiency since we have now eliminated an entire category but I’m optimistic his team at Mayo will have some ideas. We try to avoid medications that cross the blood-brain barrier because we see decreases in Caden’s language and social interaction ability while behavioral challenges and stimming seem to increase. I feel like we are always trying to balance how treating one of his major conditions will affect another major condition. It’s almost like there’s a primary immune deficiency versus autism battle always occurring in our house but we try to just make the decisions that need to be made in that moment. Obviously this week keeping Caden alive was our first priority---he is feeling much better and we can actually see more white on his skin than red for the first time. He’s also starting to play and we don’t have to remind him not to scratch so much. BUT the stims like twisting his shirt into a ball (while he’s wearing it) and the flapping are out of control. We are hearing a lot of “I don’t knows” and “I can’t stand it” which are Caden’s way of letting us know that a meltdown is imminent and he wants help. Unfortunately most of our help really hasn’t helped this week but he has tolerated Elf and Elf as always has been right by his side at every doctor’s appointment, bedtime, and meltdown. In case I haven’t said it enough Autism Service Dogs ROCK! Thanks to the meds, Caden was up at 2:30 am today wanting it to be “wake-up time” so I’m really tired mentally and physically. I’d like to leave this blog with a happy ending or some sage advice but honestly life’s just NOT okay. It will be okay as we move further from this incident and start to wean off the extra meds but at this very moment it’s just plain NOT okay.